CANCELLATIONS/CHANGES/RETURNS. Once your order has been placed, it is scheduled for production and as such, we are unable to allow for changes and corrections. In addition, as all items are personalized or contain information that is unique to you or your customer(s) we cannot accept returns. Cancelled orders require compensation for incurred costs and related obligations. A minimum of 25% of the invoice will be charged for cancelled orders. Orders cancelled more than 48 hours after art approval may be subject to material and printing cost accrued. Rush orders cannot be cancelled. Rush orders cannot be canceled after production has begun. The first day of production is considered the next business day after we have received payment and final approvals of artwork and data files. Stated ship date is the best estimate for production duration. Shipping of your order may be delayed should any new proofs be needed once production has started. Should a ship date be missed, a refund of no more than 5% per day, up to a maximum of 50% of the total invoice will be considered, regardless of whether the customer has accepted the order shipment. If your order is cancelled prior to proof approval per your request, there will be a $150.00 cancellation charge. This charge is in addition to any proof/shipping that has occurred prior to cancellation. If your order is cancelled after proof approval per your request, in addition to a $150.00 cancellation fee you will also be charged for any costs incurred through the production process, including proofs, product and shipping charges. CardPrinting.us will not be responsible for delays or missed shipped due to an error the carrier. Estimated Delivery combines our print time and UPS's delivery schedule. We have been able to guarantee a 99% on time schedule for printing but we do not own or control UPS and have, on occasions, experienced problems with their scheduling, routing and delivery timing. Please understand that if UPS doesn't deliver on time we are not responsible. Order cancelation or refunds will not be acceptable for delays caused by UPS. a. 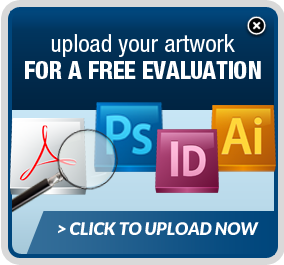 All orders are subject to review and approval of artwork submission format. 2. ORDERS. Acceptance of orders is subject to credit approval and contingencies such as fire, water, strikes, theft, vandalism, acts of God, and other causes beyond the provider's control. Canceled orders require compensation for incurred costs and related obligations. A minimum of 25% of the invoice will be charged for cancelled orders. All orders placed by first time customers must be prepaid. Credit terms are given at our discretion, and may be given to customers who meet certain criteria such as average order amount, length of business relationship with Tele-Pak, favorable credit references, favorable credit history or a combination of any of these. Limits to be charged to credit cards is $3000. Orders above that must be paid by check or wire transfer. All rush orders are prepaid. 3. PRELIMINARY. Preliminary work performed at customer's request will be charged to the customer at the provider's current rates. This work cannot be used without the provider's written consent. 5. ACCURACY OF SPECIFICATIONS. Quotations are based on the accuracy of the specifications provided. The provider can re-quote a job at time of submission if copy, film, tapes, disks, or other input materials don't conform to the information on which the original quotation was based. Unless otherwise specified, all cards will be printed gloss/matte. 7. ELECTRONIC MANUSCRIPT OR IMAGE. It is the customer's responsibility to maintain a copy of the original file. The provider is not responsible for accidental damage to media supplied by the customer or for the accuracy of furnished input or final output. Until the provider can evaluate digital input, no claims or promises are made about the provider's ability to work with jobs submitted in digital format, and no liability is assumed for problems that may arise. Any additional translating, editing, or programming needed to utilize customer-supplied files will be charged at prevailing rates. 9. DATA FILES. Tele-Pak recommends the customer provide us with a text or spreadsheet file with the data needed to perform the services for the variable data aspect of their order (numbering, bar code, encoding). If the customer cannot provide a data file, and cannot obtain one from their point of sale provider, Tele-Pak will create a data file at the customer's request. After created, the file will be sent to the customer for careful review and approval. Tele-Pak does not accept any liability if the approved data file is incorrect. 11. PRESS PROOFS. Press proofs will not be furnished unless they have been required in writing in the provider's quotation. Any press time lost or alterations/corrections made because of the customer's delay or change of mind will be charged at the provider's current rates. After 48 hours, if the press plate proof is not signed, it is assumed to be approved. 12. COLOR PROOFING. Because of differences in equipment, paper, inks, and other conditions between color proofing and production pressroom operations, a reasonable variation in color between colors proofs and the completed job is to be expected. When variation of this kind occurs, it will be considered acceptable performance. Due to screen and printer variances a PDF proof is not a good basis for color match. To achieve a color match an accurate color sample should be provided. A Full Production Proof is the only accurate way to proof color. 13. OVER-RUNS OR UNDER-RUNS. Over-runs or under-runs will not exceed 10 percent of the quantity ordered, for large runs and 20% for small runs. The provider will bill for actual quantity delivered within this tolerance. If the customer requires a guaranteed quantity, the percentage of tolerance must be stated at the time of quotation. 14. CUSTOMER'S PROPERTY. The provider will only maintain fire and extended coverage on property belonging to the customer while the property is in the provider's possession. The provider's liability for this property will not exceed the amount recoverable from the insurance. Additional insurance coverage may be obtained if it is requested in writing, and if the premium is paid to the provider. 15. DELIVERY. International shipments are estimate only based on one single shipment and can fluctuate substantially. Unless otherwise specified, the price quoted is for a single shipment, without storage, F.O.B. provider's platform. All international shipping that is paid by us, is shipped DDU to nearby airport or sea port – delivery, local taxes and brokerage fees are NOT PAID. Proposals are based on continuous and uninterrupted delivery of the complete order. If the specifications state otherwise, the provider will charge accordingly at current rates. Charges for delivery of materials and supplies from the customer to the provider, or from the customer's supplier to the provider are not included in quotations unless specified. Title for finished work passes to the customer upon delivery to the carrier at shipping point; or upon mailing of invoices for the finished work or its segments, whichever occurs first. If credit is extended on international shipment balance will be due 7-10 days before shipping. 16. PRODUCTION SCHEDULES. Production schedules will be established and followed by both the customer and the provider. In the event that the customer does not adhere to production schedules, delivery dates will be subject to renegotiation. There will be no liability or penalty for delays due to state of war, riot, civil disorder, fire, strikes, accidents, action of government or civil authority, acts of God, or other causes beyond the control of the provider. In such cases, schedules will be extended by an amount of time equal to delay incurred. 17. CUSTOMER-FURNISHED MATERIALS. Materials furnished by customers or delivery tickets verify their suppliers. The provider bears no responsibility for discrepancies between delivery tickets and actual counts. Customer-supplied paper must be delivered according to specifications furnished by the provider. These specifications will include correct weight, thickness, pick resistance, and other technical requirements. Artwork, film, color separations, special dies, tapes, disks, or other materials furnished by the customer must be usable by the provider without alteration or repair. Items not meeting this requirement will be repaired by the customer, or by the provider at the provider's current rates. 18. OUTSIDE PURCHASES. Unless otherwise agreed in writing, all outside purchases as requested or authorized by the customer, are chargeable. 19. TERMS/CLAIMS/LIENS. Unless reasonable credit terms are accepted, payment in full is required prior to printing. Claims for defects, damages or shortages must be made by the customer in writing no later than 10 calendar days after delivery. If no such claim is made, the provider and the customer will understand that the job has been accepted. By approving sample provided by Tele-Pak Inc., the customer acknowledges that the provider's performance has fully satisfied all terms, conditions, and specifications. 20. LIABILITY. The provider's liability will be limited to the quoted selling price of defective goods, without additional liability for special or consequential damages. As security for payment of any sum due under the terms of an agreement, the provider has the right to hold and place a lien on all customer property in the provider's possession. This right applies even if credit has been extended, notes have been accepted, trade acceptances have been made, or payment has been guaranteed. If payment is not made, the customer is liable for all collection costs incurred. b. Disclaimer of Implied Warranties: The provider warrants only that the work will conform to the description contained in the purchase order. The provider's maximum liability, whether by negligence, contracts, or otherwise, will not exceed the return of the amount invoiced for the work in dispute. Under no circumstances will the provider be liable for specific, individual, or consequential damages. 21. INDEMNIFICATION. The customer agrees to protect the provider from economic loss and any other harmful consequences that could arise in connection with the work. This means that the customer will hold the provider harmless and save, indemnify, and otherwise defend him/her against claims, demands, actions, and proceedings on any and all grounds. This will apply regardless of responsibility for negligence. b. Personal or Economic Rights. The customer also warrants that the work does not contain anything that is libelous or scandalous, or anything that threatens anyone's right to privacy or other personal or economic rights. The customer will, at the customer's sole expense, promptly and thoroughly defend the provider in all legal actions on these grounds as long as the provider: promptly notifies the customer of the legal action; gives the customer reasonable time to undertake and conduct a defense. The provider reserves the right to use his or her sole discretion in refusing to print anything he or she deems illegal, libelous, scandalous, improper or infringing upon copyright law. 22. STORAGE. The provider will retain intermediate materials until the customer has accepted related end product. If requested by the customer, intermediate materials will be stored for an additional period at additional charge. The provider is not liable for any loss or damage to stored material beyond what is recoverable by the provider's fire and extended insurance coverage. Preprinted cards for on demand personalization will be stored for usage up to one year. After one year these cards tend to lose the ability to absorb the overprint ink and become useless. Non-usable cards will be discarded or shipped to the customer according to customer’s request. 23. TAXES. All amounts due for taxes and assessments will be added to the customer's invoice and are the responsibility of the customer. No tax exemption will be granted unless the customer's "Exemption Certificate" (or other official proof of exemption) accompanies the purchase order. If, after the customer has paid the invoice, it is determined that more tax is due, then the customer must promptly remit the required taxes to the taxing authority, or immediately reimburse the provider for any additional taxes paid. 24. TELECOMMUNICATIONS. Unless otherwise agreed, the customer will pay for all transmission charges. The provider is not responsible for any errors, omissions, or extra costs resulting from faults in the transmission. Subject to customer's approval, Tele-pak reserves the right to substitute materials to preserve committed production and delivery schedules. b. Materials used. Unless otherwise specified, signature panels are applied via spot coat plate, using a liquid coat. For paper signature panel complying with ISO 7610 specifications, it must be specified with the order. c. Materials used - paper stock. Unless quoted otherwise, our standard stock is C1S with an aqueous coat front, and no coating on the back. UV (high gloss) option is available at an additional cost. d. Processes used - paper long cards. On paper long cards, Tele-Pak may use a litho or a flexo process, depending on run size and production machine availability. e. LoCo vs HiCo. LoCo magnetic stripes are for low-use cards, like a gift card. HiCo is used for cards that are swiped constantly, like access cards, credit cards -- cards that will be swiped hundreds, even thousands, of times. We are happy to provide guidance as to which type of magnetic stripe to order, however the choice and responsibility is ultimately the customer's. We are happy to provide test cards for usability testing upon request. +/- .03125" (1/32" or .8 mm) on PVC orders. The tolerances apply horizontally and vertically. b. Control numbers. Control numbers are small consecutive numbers printed on the cards for orders that require variable data (orders that have bar codes, magnetic stripes or non-consecutive numbering). The purpose of control numbers is so that we can be certain all cards have been produced. It also helpful in identifying cards that may need to be reprinted during or after production. We will modify the submitted data file to include a column for control numbers. We may send the modified data file to the customer for review and approval. All data provided to Tele-Pak Inc. for processing and printing must be non-active data and have no monetary value when processing and printing. Data Activation will be done only after receipt of final product by the ordering company or person. We recommended activating the cards when sold and delivered to final destination. These general terms apply to Tele-Pak Inc., its subsidiaries and over 100 active web sites such as CardPrinting.us, CardsNow.net, Cardsin24hours.com, college-cards.net, and more.